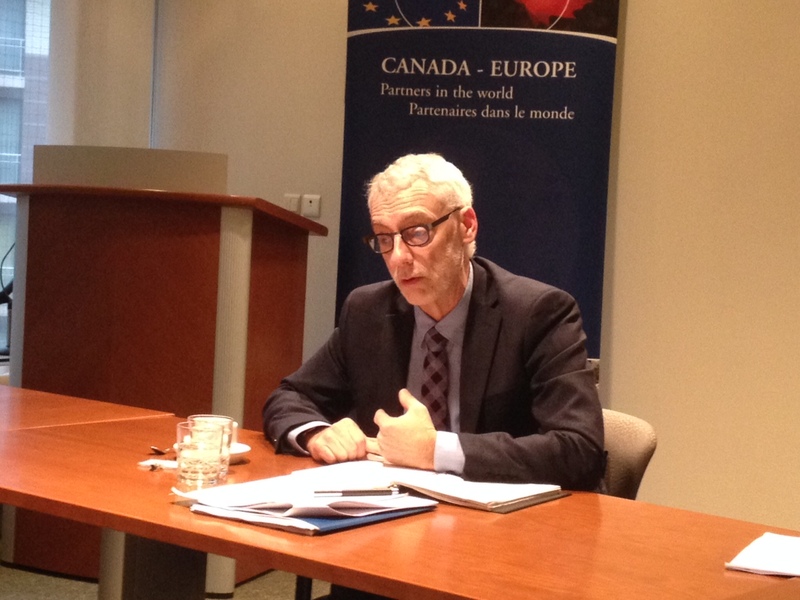 Speaking to journalists in Brussels last week, David Manicom, Associate Assistant Deputy Minister of Immigration, Refugees and Citizenship of Canada, explained how his country managed to address the refugee crisis by building up permanent structures and institutions. The government in Ottawa is committed to resettling 25,000 Syrian refugees by the end of February 2016. The number is small compared to the number of people arriving in Europe, but the total population of the North American country is only around 36 million. Currently, Canada has accepted more than 13,000 Syrian refugees on its soil and the rest of the 12,000 are expected at the end of the month – while by the end of 2016 the country is planning to host between 35,000 and 40,000 refugees. Manicom noted that the issue of successful integration of refugees in Canada is important in terms of respecting the country’s values. “We take integration very seriously. We want to be respectful of people’s tradition, but we are a democratic society […] women should be treated equally in society and workplace,” he noted, adding that the Syrian population is quite diverse. He continued, saying that all refugees have support services available to help them learn English and French, and prepare for employment. The Canadian official said his country is in close coordination with the governments of Lebanon, Turkey and Jordan. There are special reception centers in Montreal and Toronto receiving 400-500 refugees everyday by aircraft. All the security, medical and other screening take place “abroad” with the cooperation of the International Organization for Migration and other logistical organisations to deliver orientation services before the refugees depart. Every refugee is, also, interviewed in detail by specialised visa officers and comes through a thorough security check. Upon their arrival in Canada, the refugees become permanent residents, and therefore, can travel freely in the country. Regarding their distribution within the country, Manicom said that the main objective is to avoid putting a family in an isolated situation. “If we can bring two brothers in one city, there is no reason not to do it,” he stressed. Private sponsorship is a key element for the refugee resettlement programme of Canada, which can be supported by individuals or organisations offering help for housing, clothing and food. A number of organizations have signed sponsorship agreements with the Government of Canada to help support refugees from abroad when they resettle in Canada. These organizations are known as sponsorship agreement holders. They can sponsor refugees themselves or work with others in the community to sponsor refugees. Most sponsorship agreement holders are religious, ethnic, community or service organizations. Another rapidly growing and promising for the future model is the Blended Visa Office-Referred Program. “It’s a 50-50 cost sharing arrangement between the government and the private sector,” he said. The goal of this programme is to engage in a three-way partnership among the Government of Canada, the United Nations High Commissioner for Refugees (UNHCR), and private sponsors. The UNHCR identifies the refugees, the Government of Canada provides up to 6 months of income support through a Resettlement Assistance Program, while private sponsors provide another 6 months of financial support and up to a year of social and emotional support. Last but not least, is the Syrian Family Links initiative. Through this initiative, Syrians in Canada can identify family members who are refugees in Lebanon, Jordan or Turkey and help link them with local sponsorship groups in Canada who are seeking someone to sponsor. He explained, though, that this was a huge challenge and a difficult task for the political leaders. The official added that Canada was a federal state and had the experience of reaching the consensus for the refugee programmes. Manicom underlined that throughout history immigration has never stopped and, thus, permanent structures need to be created in order to address it. “The international community has dealt with many immigration flows in many parts of this world […] the current refugee crisis is of large scale but not larger than the scale of Afghanistan,” he stated.